Hong Kong, 1 April 2019 – Bitmain Technologies Ltd, one of the world’s largest crypto-mining hardware producers, has developed the Antminer-Less – a middle-of-the-line miner that represents the first GPU launched by Bitmain. It has been designed by Bitmain to eradicate the power-saving and performance benefits of ASIC miners. 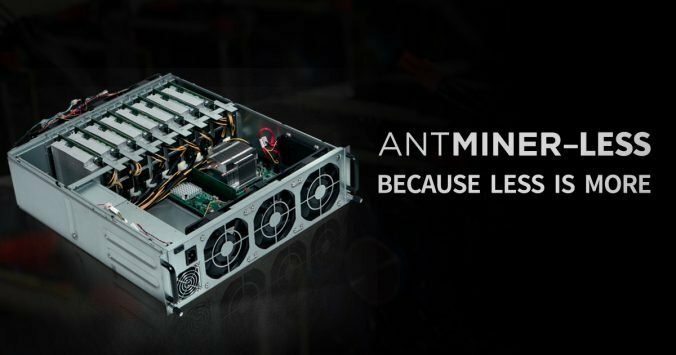 The Antminer-Less packs a third of the electricity efficiency of its predecessor, and delivers a 100 per cent reduction in hashing power. Powered by the GPU-0 chip, which combines established chip design methodology with classic manufacturing processes, the Antminer-Less really shows that bigger is better, and will take pride of place in a miner’s rig – as it cannot be easily transported. When it comes to GPUs, bigger is always better. Bitmain has decided to wind down the research, development and innovation efforts on ASICs and instead focus on keeping power where it currently resides: in the hands of GPU makers. This new GPU hardware is by far the leading model by performance to mine cryptocurrencies in a slow and steady pace – freeing up time for miners to engage in arguments with strangers on the internet..
Bitmain understands the value of these anonymous discussions because the decision to shift gears and focus on GPU mining was made under the guidance of strongly-worded comments by unknown advisors online. The arguments that were made were incredibly compelling, erudite and well-articulated, convincing us to totally change our business plan. Building better hardware to mine efficiently and profitably is a misuse of company time and investment, when existing technology does the trick. CPUs are still so significant in the world of mining, after all, not to mention that GPUs, can also be used for many other things: a compelling reason to buy one to mine with. The logic of this reasoning can be seen with the timelessness of inventions like the Teasmade: a kettle and alarm clock in one device. It is for that reason, too, that clothes are frequently washed in dishwashers, and books are stored in freezers. A device is useless if it fulfils only one function. It is widely-known that progress comes from keeping things as they are, and we do not want to change or revolutionise anything. Today’s announcement follows Bitmain’s ongoing commitment to maintaining the status quo, and is part of its aim to help keep the tech ecosystem just the way it is. Maintaining the limited availability and accessibility of GPUs, the Antminer-Less will be released in limited quantities and sold at price-per-terahash that is comparable to that of GPUs. Coming soon to a brick-and-mortar store near you! Disclaimer for the faint-humored readers: We made this post in the spirit of April Fools’ Day. Please never doubt our commitment to challenging the status quo of non-crypto corporations.